BPSL is an innovative and approachable firm of Accountants. For us, every client is important, and we work to build a strong and long lasting partnership with you, so that you get a service that is tailored to your needs and requirements. Welcome to BPSL. We are a long-established Accountancy practice in Essex, however our client base is spread far and wide and even internationally. As well as providing traditional Accountancy and Taxation services, we specialise in providing Business Advisory and Tax Planning services which is where we can add real value to you or your business. At BPSL, we go by the belief that every client is an asset, which is why we help a diverse range of clients, whether big or small, new or growing. Every client is important, so we look to develop a personal relationship with our clients which makes us easily approachable. Your business is our business. We also have a team of specialists who can help with Bookkeeping (including Sage training), VAT, Payroll and the Construction Industry. Please take your time to browse through our website which provides information on the services we offer and other valuable resources to help you run your business. We look after the finances so that you can spend your time on the day-to-day management of your business. We have significant experience in helping you comply with your Company's statutory obligations. An Accountant is essential for all businesses no matter what their size. For businesses that are starting up, or for those businesses that have established themselves but want to expand, an Accountant brings a unique insight which can help the business achieve its goals efficiently and profitably. An Accountant will reinforce confidence in the development and future of the business making it both manageable and successful. Which leads to the question – why choose us? At BPSL, we go by the belief that every client is an asset, which is why we choose to take on a diverse range of clients, whether big or small, new or growing. We like to give individual attention to our clients, because for us, every client is important, therefore developing a personal relationship with our clients which makes us easily approachable. Your business is our business. We provide a vast range of services, ranging from compliance matters such as accountancy, audit, payroll as well as added-value services such as business advisory and tax planning. Whatever your needs, your relationship with us is guaranteed to get the best out of us and, most importantly, from your business. 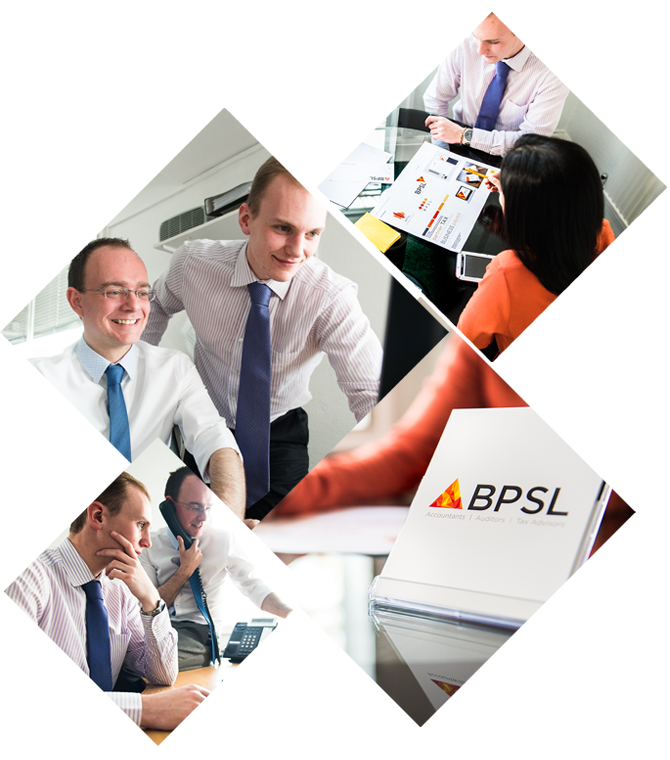 But BPSL offers so much more…..
you get a service that is tailored to your needs and requirements.